“”Stanley Kubrick was hired to fake the moon landing, but his perfectionism made them film it on location on the moon. The Moon landing hoax refers to the belief of a small[note 1] but persistent number of people who think the Apollo Moon landings of the late 1960s and early 1970s were staged and faked propaganda films produced by NASA in pursuit of embarrassing the USSR in the Cold War, as opposed to the actual moon landings taking place being an infinitely greater triumph of the US over the USSR, but disregard that fact. The exact form of such beliefs varies and can cover anything from "the Apollo astronauts never went to space" to "they eventually landed on the Moon, but the first landing was faked", not to mention wilder claims ("the Apollo program was a front; they went, but on flying saucers"—because nothing lends you credibility like invoking flying saucers). In the United States, the hoax claim was originated by libertarian writer Bill Kaysing in his 1976 book We Never Went to the Moon: America's Thirty Billion Dollar Swindle. It's a shame Kaysing is mostly remembered for that, because he also wrote some great books on sustainable living, privacy, hot springs, homelessness, cooking, and other topics. The hoax allegations have since reached the level of being a pop culture meme, much akin to theories surrounding JFK's assassination, and have been referenced in a number of works, from a Rammstein music video to a Red Bull TV commercial. Nevertheless, true believers are limited to the ranks of die-hard conspiracy theorists, and outside America, belief in it is usually correlated with general anti-American sentiment. There have been SIX[note 2] human landings on the Moon, between 1969 and 1972: the historic Apollo 11 (1969), Apollo 12 (1969), Apollo 14 (1971), Apollo 15 (1971), Apollo 16 (1972) and Apollo 17 (1972). Each landing delivered two astronauts to the surface, with a third one waiting for them in lunar orbit. There have been three more flights to the Moon: the lunar fly-by of Apollo 8 in 1968 to beat the Soviets, the Apollo 10 "general rehearsal" of a landing without actually landing (1969) and the "successful failure" Apollo 13 (1970) which had slight technical difficulties was badly damaged by an explosion during the flight, but managed to get the astronauts back to Earth alive. There is a (mostly accurate) movie with Tom Hanks about it. Each of the last three flights, 15, 16 and 17, carried the Lunar Roving Vehicle (LRV), an electric car frame with wheels which allowed astronauts to get several miles away from the landing site and cover a lot more ground than they could have on foot. Three more flights were originally planned (18, 19 and 20), but they were canceled when the public decided that the US had more pressing concerns than "Whitey on the Moon", such as the Vietnam War, and politicians pulled the plug. The extra spacecraft were used for the Skylab space station (occupied 1973-1974) and the Apollo-Soyuz Test Project (1975, Americans meeting Soviets in orbit for a few shots of vodka borscht). The Apollo/Saturn combination was supposed to be replaced by a more versatile, "safer" and cheaper system known as the Space Shuttle. The Soviets did have a manned lunar program, but it started in earnest three years later (1964) and never managed to get there due to a variety of problems (political, financial and technical, including all four test flights of their heavy launch rocket ending in massive explosions). Like the other Soviet space programs, the project was secret unless it succeeded (or failed really badly), which allowed the Soviets to pretend that they never intended to go, claiming that the Moon could be explored by robots instead of risking human lives. The Lunokhod program was hastily developed and managed to land and operate two remotely-controlled rovers on the lunar surface (in 1970 and 1973), scoring another Soviet first. After the US successes, the support for a Moon landing mission evaporated and the Soviet space program focused on orbital stations. If you want to know more, you can start by reading the Wikipedia article on the Apollo program . If you really want to know more, you can read the Apollo Lunar Surface Journal, a collection of transcripts, photos, videos and other information about the landings. Or see the External links section below. If you've ever thought it would be fun to play a game about the Space Race, there's always Buzz Aldrin's Race Into Space . Flat Earthers believe space travel to be impossible for some reason, so the astronauts never left the Earth and the whole thing was filmed on the ground. For example, Charles K. Johnson, president of the Flat Earth Society, claimed that until the Moon landings "almost no one seriously considered the world a ball. The landings converted a few of them, but many are coming back now and getting off of it." But people did in fact know that the Earth was round — and for many centuries, prior to the moon landing. Columbus' original intents when he accidentally "discovered"[note 3] America, never mind the fairly accurate estimation of the Earth's circumference by Eratosthenes, are but two of the many known references to belief in a round Earth predating the moon landing. And apparently, Johnson somehow missed Sputnik 1 and the significant number of satellites launched in the 1960s. Maybe he thinks they crashed into the Firmament. Johnson further believed that the Apollo missions were filmed by Hollywood studios, and dismissed the then-new Space Shuttle as "a very ludicrous joke." Though, maybe you can't blame a flat Earther for failing to grasp literal rocket science. A few hardline followers of the Hare Krishna movement refuse to accept the landings, because it would contradict what their holy texts say about the Moon (for example, that it is further away than the Sun, surrounded by fire and ice, and the source of planetary vegetation). This attitude dates back to the founder of the movement (A. C. Bhaktivedanta Swami Prabhupada) and the time of the landings themselves, though it doesn't seem to be a tenet of the modern ISKCON itself. A number of people are silent on the shape of the Earth but nevertheless believe that no Apollo astronauts ever went into Earth orbit. This includes the subgroup believing that human spaceflight — or indeed, spaceflight at all — is impossible for some other reasons. Probably most common is the belief that the astronauts only went into a low orbit around the Earth. This is usually connected to the claim that the space outside low Earth orbit is filled with deadly radiation, as made for example by Bart Sibrel. Proponents of such claims never bother to check the facts, such as what kinds of ionizing radiation exist in space, what are their sources, what are the expected radiation levels and what protective measures are taken against them. Ignorance of space radiation and its effects can lead to amusing results, such as claiming that passing through the Van Allen belts would literally melt the Apollo spacecraft while Van Allen himself stated that it's all nonsense. The aforementioned Bill Kaysing argued for a middle ground between this option and the previous option: namely, that Apollo spacecraft went into a low orbit on remote control, but astronauts themselves were whisked away to the "moon set" in Nevada before launch. Some people believe that the earlier landings were faked, but that NASA finally managed to get there some time in the 1970s. They assert that the program was behind schedule and the United States faked reports of the first landing to fulfill Kennedy's unofficial deadline of "before the decade is out" and/or to score the first landing before the Soviets managed to get theirs. See also: Richard Hoagland, Mars Anomaly Research and a number of other pareidolia aficionados. A number of conspiracy theorists do accept that NASA went to the moon, and — with unmanned probes — the rest of the Solar System; however, the things those craft saw were so incredible that The Powers That Be had to doctor the photographs to hide evidence of aliens (or Space Nazis). As usual, no good reason has ever been given for anyone wanting to conceal such a discovery. [note 4] (If extraterrestrial life or its remains were found in the Solar System, all space programs would likely receive a mighty increase in funding.) Examples are Richard Hoagland and Mike Bara, who have rebutted hoax claims, but continue to use Apollo imagery as evidence for alien structures on the Moon and believe NASA to be involved in all kinds of cover-ups. Spaniard Juan José Benítez is another, saying Apollo XI astronauts found an abandoned alien base that they destroyed with a nuclear bomb. His evidence was a secret NASA video... that turned out to be fake and done by a Basque animation company. Independent journalist Marcus Allen has said that, as a professional photographer, he is certain that none of the photographic materials from Apollo could have actually been obtained on the Moon, for technical reasons. He appears to believe that six Moon missions carried photographic equipment that was useless. At the start of 2012, someone spammed a large number of websites with a YouTube video purporting to be the trailer of a "docudrama" claiming that the technology for the Moon landings was in fact developed by Yugoslavia using the writings of the Slovenian space exploration visionary/pioneer Herman "Noordung" Potočnik (died 1929) and that it was later sold to the USA. Thanks to the aggressive promotion, the video managed to accumulate over a million views, but the documentary failed to materialize in the promised timeline (the original posts suggested it would be released "later this year"). As of 2014, it was still being filmed. It's the creation of Slovenian director Ziga Virc, who has a history of pulling stunts like that: his earlier movie Triest is ours! gained a lot of publicity by being presented as a controversial nationalist documentary, but later it turned out to be a satirical movie about an eccentric WWII reenactor. The amount of drivel written about the Apollo landings could fill a wiki on its own. Following is just a sample of the kind of "evidence" and misinterpretations that are used to prop up the various conspiracy theories. However, none of it stands up to scrutiny. A lot of the arguments are various forms of argument from incredulity and exploit laypeople's ignorance and/or misconceptions about space, space travel or even more mundane things like photography. It is reported that Bill Kaysing, whose 1976 book started the madness, was originally requested by his publishers to write his book as a satire, but he somehow "lost the plot" and became convinced of the truth. Kaysing alleged that his own publishers were in cahoots with NASA to suppress the book after he received a letter from his own editor saying that the manuscript wasn't good enough for publication. Kaysing then self-published both the book and the letter, creating a false Streisand effect. Proponents of the hoax theory insist that there are no stars visible in any of the footage or photographs taken on the moon. This is very true. Take any image at night and you'll very rarely see stars in the sky. This is because stars are faint things, which is the very reason you can't see them during the day. It takes the human eye a good few minutes to an hour to adjust to seeing all the stars in the sky, even on a clear night with little light pollution, because the rhodopsin in our retinal photoreceptors needs time to unbleach (the widening of our irises is a secondary contributor, but occurs quickly compared to unbleaching). Cameras have the same issue; they expose their shots for a certain length of time and with a certain iris size (aperture). During the day, when it's nice and bright, exposure can be short and the aperture small. But at night the exposure must be long, or the aperture large. To see stars effectively, exposure times for the average camera need to be on the order of seconds (indeed, so long that even the shortest exposures can reveal motion in the stars)[note 5], which is hardly conducive to video footage. Alternatively, the aperture can be increased to let more light into the exposure. This could work for the video, but it would overexpose the rest of the footage — turning astronauts and the lunar surface into one big bright white blob of nothing, along with reducing the depth of field and requiring a larger camera. Lacking any nice HDR technology, the cameras used could see the astronauts nice and clearly, but not the stars. Consider that, on a clear night with a full moon, it reflects enough sunlight for a person on Earth to see their shadow[note 6] and to be able to read. Imagine how bright it is on the surface! This isn't just a handwave to explain the moon landing photos; the exposure problem for observing stars exists on Earth and is easily demonstrable. Just try to take a picture of the stars — or the planets, for that matter — with a cell phone. One image purports to show the letter "C" on a rock, but it's rather obviously a fiber on somebody's scanner glass. Conspiracy theorists say that this is a label for a prop piece and that the letter indicates which position it goes in for the shot. There are numerous problems with this, not least of which is the fact that the "letter" is clearly a case of pareidolia. Secondly, this is not seen anywhere else in any of the moon footage or photos. If NASA was careless enough to put a prop the wrong way up, you'd expect it to be visible on most rocks, or the moon buggy, or the lander itself. Third, and most importantly, no one in film or television labels their set pieces like this precisely because such labels might be seen if the director picks a new angle to shoot from. Alan Bean, Apollo 12. Note the camera attached to his chest. The guy reflected in his visor is "Pete" Conrad. If you look carefully in the reflection of Buzz Aldrin's visor, it is possible to see Neil Armstrong taking the photo... but wait! He isn't holding up a camera, so how could he be taking the picture? It must be fake! One would expect that, if it were fake, the visor would be reflecting a full film crew complete with their cameras. Of course, the simpler explanation is to look at the cameras used on the Apollo missions. Unlike technology we use down on Earth, NASA's equipment has to be specialized for use in space and for operation while wearing a space suit. So holding up a compact camera, peering through the viewfinder and snapping away like you're on a holiday just isn't a sensible option. The cameras used were attached to the chest of the suit, as can be seen in that very photo of Aldrin. Despite the restricted ability to aim the cameras (shooting from the hip, as it were), it's still possible to take very good images, particularly once they had been selected, processed and cleaned up. This explains why we keep repeatedly seeing the same few "great shots" despite there being several thousand photos taken on the moon. Another argument used by hoax supporters is that the pictures are simply too good, indicating that they were taken by professional photographers, and not just some test pilots galloping around the Moon. But one must remember that these were no holiday snaps; NASA equipped their astronauts from the beginning with the finest cameras available, generally 70mm Hasselblads (much larger film frame than a standard 35mm SLR, hence much greater detail), modified for semi-automatic operation with 150-shot film magazines and further optimized for the lunar environment--and again, enough photos were taken that NASA could pick and choose the best ones to publicize. In fact, the sheer number of exposures taken on the Moon has been used in the Gish Gallop of evidence in favor of a hoax. With the EVAs on the Moon lasting 4834 minutes and 5771 photos taken, some people seem incredulous that the astronauts managed to do anything but take photos during their time on the lunar surface. These figures are highly misleading, not least because the presence of two astronauts immediately doubles the amount of time spent on the Moon. Next, ask any professional photographer and they'll tell you that if you get under 5000 images from nearly 6000 minutes of their time you need to fire your photographer and get a new one. [note 7] It takes about a second to take a photo, many done in batches and also done while they were working — so it wasn't a case of traveling halfway across a lunar crater to take the shots and then traveling all the way back to the other side to do the work. Really, this is beyond silly. The GCTA and the high-gain antenna on Apollo 15's Lunar Rover. On the moon. The video of the Apollo 17 lunar module taking off (technically, only the ascent stage takes off) often puzzles people, because the camera tilts up to follow it in flight, implying that someone was there operating the camera, much to the delight of conspiracy nuts. In reality, the lunar rover had a television camera, the Ground-Commanded Television Assembly (GCTA), and it could receive remote control commands from an operator on Earth, which were used to shoot the launch. There are other examples of the GCTA panning and zooming "on its own" when both astronauts are in the frame, away from its controls. It was also used to look around the landing site after the ascent stage has departed (MPEG video). Another common twist of the claim is that the camera movement in the video appears to have "perfect timing," following the module closely despite the signal delay between the Earth and the Moon. This is easily explained: the take-off time was known in advance and the operators were able to plan ahead, taking into account the signal delay, the camera tilt speed and the angular velocity of the ascent stage. In addition to that, the Apollo 17 clip was the third (and final) try: the first mission to carry the Lunar Rover and the GCTA was Apollo 15, but the camera broke and couldn't tilt up, so it captured only the moment of the launch (video); on Apollo 16 the camera worked correctly, but the lunar module flew out of the frame due to a miscalculation (the astronauts had parked the lunar rover on the wrong spot). "Third time's the charm," indeed. The camera system operator, Ed Fendell, became briefly famous among space buffs because of his spectacular last-chance success. Holy crap, this picture must be faked! In some shots, astronaut shadows appear to be cast in different directions. Conspiracy buffs with little-to-zero understanding of how light works claim that this is proof of two light sources; if they were really on the moon there would only be one light source, the sun. However, anyone with even a vague knowledge of reality knows that multiple light sources create multiple shadows for each object and yet do not create one shadow that points in a different direction. The different orientations of the shadows are due to uneven ground and perspective illusions. This was the first in a series of refutations by MythBusters. For various purposes, photographs from the moon feature black crosshairs (technical name fiducials) at regular intervals. In some images, the crosshairs appear behind parts of the image. This suggests, to the mind of the conspiracy hack, that the images have been tampered with, much in the style of Photoshop Disasters. However, careful examination of this shows that only very bright white areas seem to cover the crosshairs. This is a very well known optical and image processing phenomenon where the bright white areas bleed across the exposure, covering the crosshairs as the image was captured. In fact, higher-quality scans of the same photos, which involved better processing techniques, showed the crosshairs intact. The US flags planted during the Moon landings visibly shake while being handled. This is claimed to be evidence of wind, and therefore proof that it was filmed on Earth on a soundstage, rather than in the vacuum of space. MythBusters cleverly demonstrated the effect by waving a flag in a vacuum chamber, comparing motion with air around it and then under vacuum. This shows the exact behaviour of the material seen on the moon footage. Cloth effects simulators used in computer graphics and animation specifically have functions to simulate air resistance in order to get a fully realistic motion from the simulation — otherwise the simulations spit out exactly the motion observed on the moon. There is also a slight bit of common sense at play here because we're used to living in a 1 atm environment, where flags move because some wind is blowing them about. No one, in their everyday lives at least, sees material waving in a vacuum without the air resistance, so we don't have any experience to compare the moon footage to. So when the flag is seen moving in any way, it's attributed to the presence of air, not the lack of it, as is the case when the motion is examined more closely. Besides, the flags in the Moon footage clearly show the top of the flag is held up by a boom coming off the flagpole; the top of the flag is pulled nearly taut, while the rest shakes back and forth as it moves due to the astronauts' handling. The flag material below the boom does have a "waving" look to it because it's a fairly stiff material that never smoothed out completely when the astronauts unpackaged it. If you look closely when the flag is moving around, the "rippling" of the flag doesn't really move, as it would if it were flapping in a wind. A common argument against the landings is the areas of radiation surrounding the Earth, originating from solar wind trapped by Earth's magnetic field. Many people claim that it is impossible to pass through these areas alive, and hence there is no way anyone could have reached the moon. One flaw with this reasoning is the sort of radiation found in the Van Allen belts. They are comprised solely of charged particles originating from the Sun's corona, primarily protons, electrons and alpha particles (helium nuclei). These are trivially easy to shield against; alpha particles can be stopped by a sheet of paper, and electrons (beta particles) by a few millimetres of aluminium. Gamma radiation is not so easy to stop, but it is notably absent from the Van Allen belts. Additionally, despite the energy of the particles, there are very few of them. But the main issue is that the belts are not completely enclosed shells. During the Apollo missions, the astronauts completely missed the inner belts and went through thinner parts of the outer belts at high speed to minimise exposure. “”[W]e landed on the moon, not because it was easy, but because tricking everyone into thinking we did would be freaking impossible. Tens of thousands of people worked on the Apollo project at NASA, as did a variety of contractors. There were also many people around the world working peripherally on the project, e.g. relay stations in Australia and Spain. Anyone who came forward to demonstrate it was a hoax would have become famous. And yet none have. The Moon landings took place at the height of the Cold War, and transmissions came from the surface of the Moon. These were picked up all over the world, including by the Soviet Union, the party that had the greatest interest in exposing a hoax. It's easy to tell which direction a radio transmission is coming from; had NASA faked it, the Soviets would have pissed themselves laughing and told felt it their grave historical mission to inform the whole world. It is difficult to believe that this bribe would have paid for 40+ years of silence, even after the Soviet Union ceased to exist and was replaced by a government that was happy to showcase the USSR's failings. It is especially difficult to believe that the information would have remained secret after the collapse of the Soviet Union—particularly since post-Soviet Russia publicized the secrets of its own lunar program. Grain shipments were stopped in 1980 and yet the Soviets still kept silent about the Moon landings, even though it would have been a massive propaganda coup. It would seem patently absurd to secretly prop the Soviet Union up with vast amounts of free grain while at the same time spending even more money on a faked moonshot to publicly humiliate the same entity. The Soviets were not the only other nation which picked up the signals. "Protons, neutrons, I ate a rock from the moon...got shocked once, shocked twice, let's see what it can do!" We have a large quantity of lunar surface samples (rocks and regolith) that was brought back by the Apollo missions. These samples resemble those brought back by Soviet unmanned missions and do not resemble anything on Earth. Many international scientists have spent their entire careers studying the stuff. If they could prove it did not come from the Moon, they would make mass media news stories. We have a vast number of photographs and video taken on the Moon. Close-up footage of dust being kicked up by the astronauts on the Moon or raised by the wheels of the lunar rover shows that the dust fell parabolically, as expected in a vacuum. If the landing footage was shot on Earth, the dust would puff up in the air before falling to the ground. There are other little tell-tale signs that the footage was shot over a large area with low gravity and near-perfect vacuum, such as the video of the "feather and hammer fall" demonstration, Armstrong's five foot jump up the ladder of the LM, etc. We have the spacecraft which made the journey and returned, including parts of the Surveyor 3 robotic probe that were brought back by Apollo 12. Many of the people who made the journey are still alive and able to testify to the fact along with the thousands of people who worked on the project. Amateur (or ham) radio operators in the US and other countries, such as Italy, are witnesses to the fact the lunar television signal could be directly picked up with antennas pointed at the Moon (the Apollo missions used US military frequencies in the UHF 225-400MHz range as well as the S band 2.4GHz range). The QST magazine, published by the American Radio Relay League (ARRL), carried articles on such reception and the equipment used. If the signals had come from somewhere other than the Moon, it would have been obvious to those picking them up. Three sets of retroreflectors (prisms that reflect incoming light in the direction it came from) were placed on the Moon by Apollos 11, 14 and 15 to be targets for ranging lasers. These retroreflectors have been used extensively by independent parties. Apollo 14's retroreflector was deployed February 5, 1971 and used by McDonald Observatory in Texas only 7 hours later once the Moon had risen. The laser ranging experiment in particular is a difficult one for conspiracy theorists to get beyond, and it seems that this fact is what causes regulars to conspiracy websites to tell Moon hoaxers to STFU and stop being so stupid. Arguments about the flag fluttering in the breeze are similarly idiotic in the light of a little critical thinking. Ignoring that there's clearly a beam coming out from the flagpole holding up the top of the flag, and ignoring that the footage shows them flopping around in ways that flags don't move here on Earth (like they're being shaken around someplace where air resistance doesn't affect them), there's another consideration. Clearly the Moon landings were filmed in a darkened building, and the flags were flapping in a strong breeze indoors? So maybe someone was blowing a big fan that never fluttered the actors'/astronauts' space suits, and didn't kick up any dust? Just watch the Saturn V in all its glory. LRO image of the Apollo 11 landing site, November 2011, from 15 miles above the surface. The descent stage of the LM is visible, as well as the trails of regolith disturbed by the astronauts and the experiment packages they left on the surface. Resolution? 25 cm/pixel. In 2007, the Japanese probe SELENE (a.k.a. Kaguya) started mapping the lunar surface. The resolution of its cameras was not enough to image directly the leftover Apollo hardware, but it did spot an area of lighter regolith on an Apollo landing site that could have been caused by its engine. Its data was used to create 3D reconstructions of lunar terrain that matched pictures made by the Apollo astronauts. In 2009, the Indian moon orbiter Chandrayaan-1 took photographs of the Apollo 15 landing site and lunar rover tracks. The first images were taken in July 2009, shortly after the LRO reached Moon orbit, but before it had settled down in its proper mapping orbit. In 2009 the LRO imaged several human-made objects on the lunar surface, including both the Apollo missions and the Soviet rovers (including the Lunokhod 2 rover, which had been "lost" for 30 years). The debris left behind by the astronauts is visible and identifiable as clearly artificial. Also visible are the double tracks of the rovers, Soviet and American. On the 6th of September 2011, NASA released even higher quality photographs taken by the Lunar Reconnaissance Orbiter after it had been lowered from 50 km above the moon's surface to just 25km. In these photographs, even the trails of disturbed regolith left by the astronauts are visible, showing up as dark lines. And in 2013, China's Yutu rover landed on the moon, the first rover to do so since Lunokhod 2. The footage taken from the surface is so blatantly consistent with Apollo's that it's adding insult to injury. For versions of the moon hoax conspiracy theories that allow for the achievement of manned orbital missions (ie, NASA could send astronauts into space, just not safely land them on the moon and return them to earth), a host of unanswerable questions arise when considering mission control operations. Because mission control stations and personnel prior to the "fake" moon landings were for the most part identical to those during the supposedly fake moon landings, the question arises as to whether the mission control people (ie, seen on TV) were "in on it" and simply pretending to control a manned landing on the moon. Of course, none of those mission controllers have ever admitted to having faked the moon landing, and there are huge amounts of documentation concerning the mission data they observed in order to control this "fake" mission. If one considers that mission control personnel were not in fact "in on it", an even harder-to-explain scenario arises: was there some other hidden group of fake mission controllers feeding the real mission controllers data that appeared to be a real moon mission? Given the primitive nature of digital computers at the time, this scenario requires a vastly complicated "mission" to provide the real mission controllers with an overall set of data capable of precisely mimicking a lunar landing, such that experienced mission controllers would not notice any contradictions or gaps in the fake mission data. Moreover, vast amounts of electronic cabling linking the two mission control centers would have had to be installed, and in such a way that the real mission control engineers would not be able to detect them. Remember too that, even with a fake moon mission, there was of course an actual Titan rocket launch, so real mission control consoles would have had to have the capability to switch from the real rocket launch data feeds to the fake mission data feeds from the secret mission control operation. And what about Apollo 13? Was Mission Control fed fake data about a mission that screwed the pooch and had to be (supposedly) slingshotted around the Moon, with a different flight profile, and was it then given elaborate false puzzles about how to conserve enough electricity for reentry and adapt the LM's CO2 scrubber to the capsule's spare replacement cartridges? To date, however, there has been no evidence (direct or even circumstantial) to indicate the existence of a second secret mission control group. One must conclude, therefore, that all of the mission controllers were in on the hoax and that none of them have ever come forward to admit their complicity, a possibility with a likelihood of zero. And what about the contractors? NASA didn't build its own equipment, it was all built by contractors: North American, Grumman, and so on. Were they kept in the dark? If so, NASA would have to go to substantial effort to fake its tests and launches of the equipment for the benefit of its builders, who kept tabs on how it performed so they could make changes NASA demanded. Was it just the higher-ups of those companies who were in on it, and their employees kept out? That still leaves the problem of them having to create equipment that could fly in space and do the things required, with elaborate fakery to make it look like NASA was using it and testing it in various ways. Or were they all in on it? That would come to hundreds of thousands of people, all of whom would have to be kept quiet, and all of whom have managed to keep quiet all these years. “”People love conspiracy theories... they are very attractive. But it was never a concern to me because I know one day somebody is going to go fly back up there and pick up that camera I left. Given the overall context of the moon landings and that of the Space Race with the Soviet Union, there are many, many reasons why people would come forward to conclusively prove that the landings were faked: political gain, monetary gain, pure fame, and so on. Disproving the landings by a first-hand account, or evidence (such as a sneaky photograph of the studio used or something more concrete) would be relatively simple. However, this still flies in the face of what is known. Man-made objects are still on the moon and transmissions came from the moon; there is no "faking" this. If we assume a conspiracy exists, we need to know what it involves. Given the number of people that would need to be paid off (or killed) to stay silent, the effort required to pull the wool over the USSR's eyes (and the eyes of other countries who were watching), the ground-based fakery – rockets, launches, control rooms – fakery such as moon rocks and the photography and video taken from the moon... wouldn't it seem more logical and far simpler to just go to the moon? Si vous voulez cet article en français, il peut être trouvé à Moon hoax (français). Wikipedia's article is good on the rebuttal. Astronomer Jim Scotti's page on the "controversy"
If you have a question or you need more information about some claim, you can ask on the ApolloHoax.net forum or in the Conspiracy Theories section of the former Bad Astronomy and Universe Today Forum. There you can find the authors of some of the websites above and other knowledgeable people. These are responding to Conspiracy Theory: Did We Land on the Moon?, produced by Bruce Nash, which first aired on February 15, 2001. Opération lune (English title: Dark Side of the Moon), a French mockumentary often confused for a hoax-supporting movie, especially by people who don't speak English or French and have seen only a dubbed version (and, sadly, by some people who speak English or French but lack any critical faculties). Misbegotten Moon – a video that makes fun of much of the logic of conspiracy theories, and the techniques used by conspiracy theory "exposé films." ↑ 6% in the USA, according to a 1999 Gallup poll. A more recent poll says 7%. ↑ You'll be amused at the number of people who think that the first one was also the only one. ↑ See The Brookings Report for a contrived and specious reason. ↑ For comparison, the average wedding photographer will take around 1,500 shots through the course of the day. Even assuming they work all day, that's 1,500 shots in about 400 minutes. Then the really expensive ones work as a duo and can take 4,000 shots without breaking sweat. And of course, anyone who has been to a sufficiently sized party will immediately notice a couple of hundred pop up on Facebook the next day, and it's not like everyone spent every second of the night posing for photos, right? ↑ Wind on a hypothetical soundstage would also have disturbed the dust layer on the ground, and ruffled the astronauts' space suits. ↑ For example, see the "NASA Moon Missions" category of Krishna.org, the site of a splinter Hare Krishna group. They also host (illegally?) a PDF of NASA MOONED AMERICA!, Ralph Rene's book. 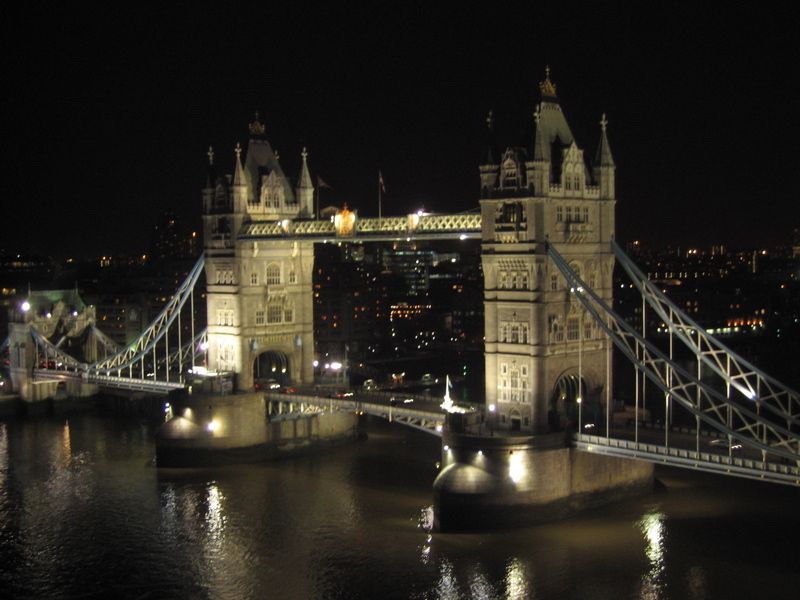 ↑ "Shooting Underway on Houston, We Have a Problem"
↑ Tower Bridge at night - look! No stars! Must be fake! ↑ The original, and the one with the C.
↑ Victor Hasselblad was a very lucky man. ↑ See also this account of how a very famous photograph was improved in the lab. ↑ "Was the moon landing fake?" - specifically this image if you can't be bothered to Ctrl-F your way through. ↑ Not so simple now, is it? ↑ Here's a video of how a flag waves in the breeze, there are notable differences in the motion compared to how the flag on the moon "flaps." ↑ See the Wikipedia article on Third-party evidence for Apollo Moon landings. ↑ Someone on the ATS forums tries to get across the absurdity of the scale of the fraud these people believe in. ↑ How Do You Make the Fake NASA Documentary Operation Avalanche? Hire a Really Good Lawyer by Angela Watercutter (09.16.16 7:00 am) Wired. This page was last modified on 12 April 2019, at 00:47.